Martin Michaelis received his Pharmacy Degree (Approbation, 1998) and his PhD (2001) from the Goethe-University, Frankfurt am Main, Germany. He then worked as postdoc and later deputy group leader in the research group of Professor Jindrich Cinatl at the Institute of Medical Virology (Goethe-University, Frankfurt am Main, Germany) and the Dr Petra Joh-Forschungshaus, a private research institute run by the Frankfurter Stiftung für krebskranke Kinder in Frankfurt am Main. In 2011, Martin joined the University of Kent. He runs a joint wet/ dry laboratory research group together with Dr Mark Wass. The research of Professor Michaelis is focused on the identification and investigation of drugs and their mechanisms of action. The primary interest lies on acquired drug resistance in cancer. In collaboration with Professor Jindrich Cinatl (Goethe-University, Frankfurt am Main), he manages and develops the Resistant Cancer Cell Line (RCCL) Collection a unique collection of >1,300 cancer cell lines with acquired resistance to anti-cancer drugs. 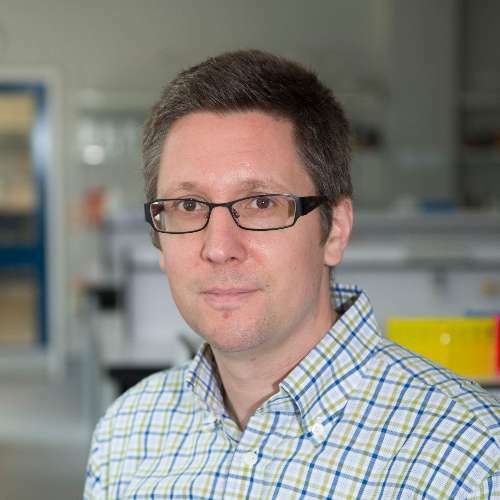 In addition, Professor Michaelis is interested in virulence mechanisms and therapeutic targets in viruses and in meta-research that investigates research practices in the life sciences. We host the Resistant Cancer Cell Line (RCCL) collection, the worldwide largest collection of drug-adapted cancer cell lines and models of acquired drug resistance in cancer at Kent. In this project, drug-adapted cancer cell lines will be characterised and investigated to gain novel insights into the processes underlying resistance formation and to identify novel therapy candidates (including biomarkers). the largest collection of cancer cell lines worldwide that have been adapted to anti-cancer drugs. These cells represent a model of drug resistance in tumours. identify mechanisms of resistance and biomarkers. DOI: https://doi.org/10.26434/chemrxiv.7666316.v1. In this project, the effects of the polymer nanostructure on cell uptake and therapeutic efficacy will be studied in different cancer cells. This will provide pioneering insights into the prospects of sequence-defined polymers as carrier systems for anti-cancer drugs. Showing 50 of 149 total publications in the Kent Academic Repository. View all publications. Jossé, L. et al. (2019). A Cell Culture Platform for the cultivation of Cryptosporidium parvum. Current Protocols in Microbiology [Online]. Available at: https://doi.org/10.1002/cpmc.80. Cryptosporidium is a genus of ubiquitous unicellular parasites belonging to the phylum Apicomplexa. Cryptosporidium species are the second largest cause of childhood diarrhoea and are associated with increased morbidity. Accompanying this is the low availability of treatment and lack of vaccines. The major barrier to developing effective treatment is the lack of reliable in vitro culture methods. Recently, our lab has successfully cultivated C. parvum in the oesophageal cancer derived cell line COLO-680N, and can maintain infection for several weeks. The success of this cell line was assessed with a combination of various techniques including fluorescent microscopy and qPCR. In addition, to tackle the issue of long-term oocyst production in vitro, a simple, low cost bioreactor system using the COLO-680N cell line was established, which produced infectious oocysts for four months. This chapter provides details on the methodologies used to culture, maintain and assess Cryptosporidium infection and propagation in COLO-680N. Bones, A. et al. (2019). Past and future trends of Cryptosporidium in vitro research. Experimental Parasitology [Online] 196:28-37. Available at: 10.1016/j.exppara.2018.12.001. Cryptosporidium is a genus of single celled parasites capable of infecting a wide range of animals including humans. Cryptosporidium species are members of the phylum apicomplexa, which includes well-known genera such as Plasmodium and Toxoplasma. Cryptosporidium parasites cause a severe gastro-intestinal disease known as cryptosporidiosis. They are one of the most common causes of childhood diarrhoea worldwide, and infection can have prolonged detrimental effects on the development of children, but also can be life threatening to HIV/AIDS patients and transplant recipients. A variety of hosts can act as reservoirs, and Cryptosporidium can persist in the environment for prolonged times as oocysts. While there has been substantial interest in these parasites, there is very little progress in terms of treatment development and understanding the majority of the life cycle of this unusual organism. In this review, we will provide an overview on the existing knowledge of the biology of the parasite and the current progress in developing in vitro cultivation systems. We will then describe a synopsis of current and next generation approaches that could spearhead further research in combating the parasite. Sarin, N. et al. (2018). Key Players of Cisplatin Resistance: Towards a Systems Pharmacology Approach. International Journal of Molecular Sciences [Online] 19:767-785. Available at: https://doi.org/10.3390/ijms19030767. between cisplatin-sensitive and -resistant cells in reaction to cisplatin exposure. Das, C. et al. (2018). BAG3 Overexpression and Cytoprotective Autophagy Mediate Apoptosis Resistance in Chemoresistant Breast Cancer Cells. Neoplasia [Online] 20:263-279. Available at: http://dx.doi.org/10.1016/j.neo.2018.01.001. Target-specific treatment modalities are currently not available for triple-negative breast cancer (TNBC), and acquired chemotherapy resistance is a primary obstacle for the treatment of these tumors. Here we employed derivatives of BT-549 and MDA-MB-468 TNBC cell lines that were adapted to grow in the presence of either 5-Fluorouracil, Doxorubicin or Docetaxel in an aim to identify molecular pathways involved in the adaptation to drug-induced cell killing. All six drug-adapted BT-549 and MDA-MB-468 cell lines displayed cross resistance to chemotherapy and decreased apoptosis sensitivity. Expression of the anti-apoptotic co-chaperone BAG3 was notably enhanced in two thirds (4/6) of the six resistant lines simultaneously with higher expression of HSP70 in comparison to parental controls. Doxorubicin-resistant BT-549 (BT-549DOX) and 5-Fluorouracil-resistant MDA-MB-468 (MDA-MB-4685-FU) cells were chosen for further analysis with the autophagy inhibitor Bafilomycin A1 and lentiviral depletion of ATG5, indicating that enhanced cytoprotective autophagy partially contributes to increased drug resistance and cell survival. Stable lentiviral BAG3 depletion was associated with a robust down-regulation of Mcl-1, Bcl-2 and Bcl-xL, restoration of drug-induced apoptosis and reduced cell adhesion in these cells, and these death-sensitizing effects could be mimicked with the BAG3/Hsp70 interaction inhibitor YM-1 and by KRIBB11, a selective transcriptional inhibitor of HSF-1. Furthermore, BAG3 depletion was able to revert the EMT-like transcriptional changes observed in BT-549DOX and MDA-MB-4685-FU cells. In summary, genetic and pharmacological interference with BAG3 is capable to resensitize TNBC cells to treatment, underscoring its relevance for cell death resistance and as a target to overcome therapy resistance of breast cancer. Jenks, A. et al. (2018). Primary Cilia Mediate Diverse Kinase Inhibitor Resistance Mechanisms in Cancer. Cell reports [Online] 23:3042-3055. Available at: http://dx.doi.org/10.1016/j.celrep.2018.05.016. Miller, C. et al. (2018). A cell culture platform for Cryptosporidium that enables long-term cultivation and new tools for the systematic investigation of its biology. International Journal for Parasitology [Online] 48:197-201. Available at: https://doi.org/10.1016/j.ijpara.2017.10.001. Cryptosporidium parasites are a major cause of diarrhoea that pose a particular threat to children in developing areas and immunocompromised individuals. Curative therapies and vaccines are lacking, mainly due to lack of a long-term culturing system of this parasite. Here, we show that COLO-680N cells infected with two different Cryptosporidium parvum strains produce sufficient infectious oocysts to infect subsequent cultures, showing a substantial fold increase in production, depending on the experiment, over the most optimistic HCT-8 models. Oocyst identity was confirmed using a variety of microscopic- and molecular-based methods. This culturing system will accelerate research on Cryptosporidium and the development of anti-Cryptosporidium drugs. Vallo, S. et al. (2017). Blocking integrin ?1 decreases adhesion in chemoresistant urothelial cancer cell lines. Oncology letters [Online] 14:5513-5518. Available at: http://dx.doi.org/10.3892/ol.2017.6883. Treatment failure in metastatic bladder cancer is commonly caused by acquisition of resistance to chemotherapy in association with tumor progression. Since alterations of integrins can influence the adhesive and invasive behaviors of urothelial bladder cancer cell lines, the present study aimed to evaluate the role of integrins in bladder cancer cells with acquired resistance to standard first-line chemotherapy with gemcitabine, and cisplatin. Therefore, four gemcitabine- and four cisplatin-resistant sublines out of a panel of four parental urothelial bladder cancer cell lines (TCC-SUP, HT1376, T24, and 5637) were used. Expression of integrin subunits ?3, ?5, ?6, ?1, ?3, and ?4 was detected using flow cytometry. Adhesion and chemotaxis were analyzed. For functional assays, integrin ?1 was attenuated with a blocking antibody. In untreated cells, chemotaxis was upregulated in 3/4 gemcitabine-resistant sublines. In cisplatin-resistant cells, chemotaxis was enhanced in 2/4 cell lines. Acquired chemoresistance induced the upregulation of integrin ?1 in all four tested gemcitabine-resistant sublines, as well as an upregulation in 3/4 cisplatin-resistant sublines compared with parental cell lines. Following the inhibition of integrin ?1, adhesion to extracellular matrix components was downregulated in 3/4 gemcitabine-resistant sublines and in all four tested cisplatin-resistant sublines. Since integrin ?1 is frequently upregulated in chemoresistant urothelial cancer cell lines and inhibition of integrin ?1 may influence adhesion, further studies are warranted to evaluate integrin ?1 as a potential therapeutic target for bladder cancer. Ahmad, A. et al. (2017). Cisplatin resistance in non-small cell lung cancer cells is associated with an abrogation of cisplatin-induced G2/M cell cycle arrest. PLOS ONE [Online] 12:e0181081. Available at: http://dx.doi.org/10.1371/journal.pone.0181081. The efficacy of cisplatin-based chemotherapy in cancer is limited by the occurrence of innate and acquired drug resistance. In order to better understand the mechanisms underlying acquired cisplatin resistance, we have compared the adenocarcinoma-derived non-small cell lung cancer (NSCLC) cell line A549 and its cisplatin-resistant sub-line A549rCDDP2000 with regard to cisplatin resistance mechanisms including cellular platinum accumulation, DNA-adduct formation, cell cycle alterations, apoptosis induction and activation of key players of DNA damage response. In A549rCDDP2000 cells, a cisplatin-induced G2/M cell cycle arrest was lacking and apoptosis was reduced compared to A549 cells, although equitoxic cisplatin concentrations resulted in comparable platinum-DNA adduct levels. These differences were accompanied by changes in the expression of proteins involved in DNA damage response. In A549 cells, cisplatin exposure led to a significantly higher expression of genes coding for proteins mediating G2/M arrest and apoptosis (mouse double minute 2 homolog (MDM2), xeroderma pigmentosum complementation group C (XPC), stress inducible protein (SIP) and p21) compared to resistant cells. This was underlined by significantly higher protein levels of phosphorylated Ataxia telangiectasia mutated (pAtm) and p53 in A549 cells compared to their respective untreated control. The results were compiled in a preliminary model of resistance-associated signaling alterations. In conclusion, these findings suggest that acquired resistance of NSCLC cells against cisplatin is the consequence of altered signaling leading to reduced G2/M cell cycle arrest and apoptosis. Isono, M. et al. (2017). Checkpoint kinase inhibitor AZD7762 strongly sensitises urothelial carcinoma cells to gemcitabine. Journal of experimental & clinical cancer research : CR [Online] 36:1. Available at: http://dx.doi.org/10.1186/s13046-016-0473-1. More effective chemotherapies are urgently needed for bladder cancer, a major cause of morbidity and mortality worldwide. We therefore explored the efficacy of the combination of gemcitabine and AZD7762, a checkpoint kinase 1/2 (CHK1/2) inhibitor, for bladder cancer. Viability, clonogenicity, cell cycle distribution and apoptosis were assessed in urothelial cancer cell lines and various non-malignant urothelial cells treated with gemcitabine and AZD7762. DNA damage was assessed by ?H2A.X and 53-BP1 staining and checkpoint activation was followed by Western blotting. Pharmacological inhibition of CHK1 and CHK2 was compared to downregulation of either CHK1 or CHK2 using siRNAs. Combined use of gemcitabine and AZD7762 synergistically reduced urothelial carcinoma cell viability and colony formation relative to either single treatment. Non-malignant urothelial cells were substantially less sensitive to this drug combination. Gemcitabine plus AZD7762 inhibited cell cycle progression causing cell accumulation in S-phase. Moreover, the combination induced pronounced levels of apoptosis as indicated by an increase in the fraction of sub-G1 cells, in the levels of cleaved PARP, and in caspase 3/7 activity. Mechanistic investigations showed that AZD7762 treatment inhibited the repair of gemcitabine-induced double strand breaks by interference with CHK1, since siRNA-mediated depletion of CHK1 but not of CHK2 mimicked the effects of AZD7762. AZD7762 enhanced sensitivity of urothelial carcinoma cells to gemcitabine by inhibiting DNA repair and disturbing checkpoints. Combining gemcitabine with CHK1 inhibition holds promise for urothelial cancer therapy. Vallo, S. et al. (2017). Resistance to nanoparticle albumin-bound paclitaxel is mediated by ABCB1 in urothelial cancer cells. Oncology Letters [Online] 13. Available at: https://doi.org/10.3892/ol.2017.5986. Nanoparticle albumin?bound (nab)-paclitaxel appears to exhibit better response rates in patients with metastatic urothelial cancer of the bladder whom are pretreated with nab-paclitaxel compared with conventional paclitaxel. Paclitaxel may induce multidrug resistance in patients with cancer, while the mechanisms of resistance against paclitaxel are manifold. These include reduced function of pro?apoptotic proteins, mutations of tubulin and overexpression of the drug transporter adenosine 5'?triphosphate?binding cassette transporter subfamily B, member 1 (ABCB1). To evaluate the role of ABCB1 in nab?paclitaxel resistance in urothelial cancer cells, the bladder cancer cell lines T24 and TCC?SUP, as well as sub?lines with acquired resistance against gemcitabine (T24rGEMCI20 and TCC?SUPrGEMCI20) and vinblastine (T24rVBL20 and TCC?SUPrVBL20) were examined. For the functional inhibition of ABCB1, multi-tyrosine kinase inhibitors with ABCB1?inhibiting properties, including cabozantinib and crizotinib, were used. Additional functional assessment was performed with cell lines stably transduced with a lentiviral vector encoding for ABCB1, and protein expression was determined by western blotting. It was indicated that cell lines overexpressing ABCB1 exhibited similar resistance profiles to nab?paclitaxel and paclitaxel. Cabozantinib and crizotinib sensitized tumor cells to nab?paclitaxel and paclitaxel in the same dose?dependent manner in cell lines overexpressing ABCB1, without altering the downstream signaling of tyrosine kinases. These results suggest that the overexpression of ABCB1 confers resistance to nab?paclitaxel in urothelial cancer cells. Additionally, small molecules may overcome resistance to anticancer drugs that are substrates of ABCB1. Kollareddy, M. et al. (2017). The small molecule inhibitor YK-4-279 disrupts mitotic progression of neuroblastoma cells, overcomes drug resistance and synergizes with inhibitors of mitosis. Cancer Letters [Online] 403:74-85. Available at: https://doi.org/10.1016/j.canlet.2017.05.027. Neuroblastoma is a biologically and clinically heterogeneous pediatric malignancy that includes a highrisk subset for which new therapeutic agents are urgently required. As well as MYCN amplification, activating point mutations of ALK and NRAS are associated with high-risk and relapsing neuroblastoma. As both ALK and RAS signal through the MEK/ERK pathway, we sought to evaluate two previously reported inhibitors of ETS-related transcription factors, which are transcriptional mediators of the RasMEK/ERK pathway in other cancers. Here we show that YK-4-279 suppressed growth and triggered apoptosis in nine neuroblastoma cell lines, while BRD32048, another ETV1 inhibitor, was ineffective. These results suggest that YK-4-279 acts independently of ETS-related transcription factors. Further analysis reveals that YK-4-279 induces mitotic arrest in prometaphase, resulting in subsequent cell death. Mechanistically, we show that YK-4-279 inhibits the formation of kinetochore microtubules, with treated cells showing a broad range of abnormalities including multipolar, fragmented and unseparated spindles, together leading to disrupted progression through mitosis. Notably, YK-4-279 does not affect microtubule acetylation, unlike the conventional mitotic poisons paclitaxel and vincristine. Consistent with this, we demonstrate that YK-4-279 overcomes vincristine-induced resistance in two neuroblastoma cell-line models. Furthermore, combinations of YK-4-279 with vincristine, paclitaxel or the Aurora kinase A inhibitor MLN8237/Alisertib show strong synergy, particularly at low doses. Thus, YK-4-279 could potentially be used as a single-agent or in combination therapies for the treatment of high-risk and relapsing neuroblastoma, as well as other cancers. Williams, M. et al. (2016). Microwave-assisted synthesis of highly crystalline, multifunctional iron oxide nanocomposites for imaging applications. RSC Advances [Online] 6:83520-83528. Available at: http://doi.org/10.1039/c6ra11819d. We report a reproducible single-step, microwave-assisted approach for the preparation of multifunctional magnetic nanocomposites comprising superparamagnetic iron oxide (Fe3O4) cores, a polyelectrolyte stabilizer and an organic dye with no requirement for post-processing. The stabilisers poly(sodium 4-styrenesulfonate) (PSSS) and sodium polyphosphate (SPP) have been thoroughly investigated and from analysis using electron microscopy, dynamic light scattering measurements, magnetic hysteresis and magnetic resonance (MR) imaging, we show that the higher degree of Fe3O4 nanoparticle crystallinity achieved with the PSSS stabiliser leads to enhanced magnetic behaviour and thus better contrast agent relaxivity compared to the less crystalline, poorly defined particles obtained when SPP is employed as a stabiliser. We also demonstrate the potential for obtaining a multifunctional magnetic-fluorescent nanocomposite using our microwave-assisted synthesis. In this manner, we demonstrate the intimate link between synthetic methodology (microwave heating with a polyelectrolyte stabilizer) and the resulting properties (particle size, shape, and magnetism) and how this underpins the functionality of the resulting nanocomposites as agents for biomedical imaging. Vallo, S. et al. (2016). Dasatinib enhances tumor growth in gemcitabine-resistant orthotopic bladder cancer xenografts. BMC research notes [Online] 9:454. Available at: http://dx.doi.org/10.1186/s13104-016-2256-3. Systemic chemotherapy with gemcitabine and cisplatin is standard of care for patients with metastatic urothelial bladder cancer. However, resistance formation is common after initial response. The protein Src is known as a proto-oncogene, which is overexpressed in various human cancers. Since there are controversial reports about the role of Src in bladder cancer, we evaluated the efficacy of the Src kinase inhibitor dasatinib in the urothelial bladder cancer cell line RT112 and its gemcitabine-resistant sub-line RT112(r)GEMCI(20) in vitro and in vivo. RT112 urothelial cancer cells were adapted to growth in the presence of 20 ng/ml gemcitabine (RT112(r)GEMCI(20)) by continuous cultivation at increasing drug concentrations. Cell viability was determined by MTT assay, cell growth kinetics were determined by cell count, protein levels were measured by western blot, and cell migration was evaluated by scratch assays. In vivo tumor growth was tested in a murine orthotopic xenograft model using bioluminescent imaging. Dasatinib exerted similar effects on Src signaling in RT112 and RT112(r)GEMCI(20) cells but RT112(r)GEMCI(20) cells were less sensitive to dasatinib-induced anti-cancer effects (half maximal inhibitory concentration (IC50) of dasatinib in RT112 cells: 349.2 ± 67.2 nM; IC50 of dasatinib in RT112(r)GEMCI(20) cells: 1081.1 ± 239.2 nM). Dasatinib inhibited migration of chemo-naive and gemcitabine-resistant cells. Most strikingly, dasatinib treatment reduced RT112 tumor growth and muscle invasion in orthotopic xenografts, while it was associated with increased size and muscle-invasive growth in RT112(r)GEMCI(20) tumors. Dasatinib should be considered with care for the treatment of urothelial cancer, in particular for therapy-refractory cases. Löschmann, N. et al. (2016). ABCB1 as predominant resistance mechanism in cells with acquired SNS-032 resistance. Oncotarget [Online] 7:58051-58064. Available at: http://dx.doi.org/10.18632/oncotarget.11160. The CDK inhibitor SNS-032 had previously exerted promising anti-neuroblastoma activity via CDK7 and 9 inhibition. ABCB1 expression was identified as major determinant of SNS-032 resistance. Here, we investigated the role of ABCB1 in acquired SNS-032 resistance. In contrast to ABCB1-expressing UKF-NB-3 sub-lines resistant to other ABCB1 substrates, SNS-032-adapted UKF-NB-3 (UKF-NB-3rSNS- 032300nM) cells remained sensitive to the non-ABCB1 substrate cisplatin and were completely re-sensitized to cytotoxic ABCB1 substrates by ABCB1 inhibition. Moreover, UKF-NB-3rSNS-032300nM cells remained similarly sensitive to CDK7 and 9 inhibition as UKF-NB-3 cells. In contrast, SHEPrSNS-0322000nM, the SNS-032-resistant sub-line of the neuroblastoma cell line SHEP, displayed low level SNS-032 resistance also when ABCB1 was inhibited. This discrepancy may be explained by the higher SNS-032 concentrations that were used to establish SHEPrSNS-0322000nM cells, since SHEP cells intrinsically express ABCB1 and are less sensitive to SNS-032 (IC50 912 nM) than UKF-NB-3 cells (IC50 153 nM). In conclusion, we show that ABCB1 expression represents the primary (sometimes exclusive) resistance mechanism in neuroblastoma cells with acquired resistance to SNS-032. Thus, ABCB1 inhibitors may increase the SNS-032 efficacy in ABCB1-expressing cells and prolong or avoid resistance formation. Saafan, H. et al. (2016). Utilising the EGFR interactome to identify mechanisms of drug resistance in non-small cell lung cancer - Proof of concept towards a systems pharmacology approach. European journal of pharmaceutical sciences [Online] 94:20-32. Available at: http://dx.doi.org/10.1016/j.ejps.2016.04.025. Drug treatment of epidermal growth factor receptor (EGFR) positive non-small cell lung cancer has improved substantially by targeting activating mutations within the receptor tyrosine kinase domain. However, the development of drug resistance still limits this approach. As root causes, large heterogeneity between tumour entities but also within tumour cells have been suggested. Therefore, approaches to identify these multitude and complex mechanisms are urgently required. Affinity purification coupled with high resolution mass spectrometry was applied to isolate and characterise the EGFR interactome from HCC4006 non-small cell lung cancer cells and their variant HCC4006(r)ERLO(0.5) adapted to grow in the presence of therapeutically relevant concentrations of erlotinib. Bioinformatics analyses were carried out to identify proteins and their related molecular functions that interact differentially with EGFR in the untreated state or when incubated with erlotinib prior to EGFR activation. Across all experimental conditions 375 proteins were detected to participate in the EGFR interactome, 90% of which constituted a complex protein interaction network that was bioinformatically reconstructed from literature data. Treatment of HCC4006(r)ERLO(0.5) cells carrying a resistance phenotype to erlotinib was associated with an increase of protein levels of members of the clathrin-associated adaptor protein family AP2 (AP2A1, AP2A2, AP2B1), structural proteins of cytoskeleton rearrangement as well as signalling molecules such as Shc. Validation experiments confirmed activation of the Ras-Raf-Mek-Erk (MAPK)-pathway, of which Shc is an initiating adaptor molecule, in HCC4006(r)ERLO(0.5) cells. Taken together, differential proteins in the EGFR interactome of HCC4006(r)ERLO(0.5) cells were identified that could be related to multiple resistance mechanisms including alterations in growth factor receptor expression, cellular remodelling processes suggesting epithelial-to-mesenchymal transition as well as alterations in downstream signalling. Knowledge of these mechanisms is a pivotal step to build an integrative model of drug resistance in a systems pharmacology manner and to be able to investigate the interplay of these mechanisms and ultimately recommend combinatorial treatment strategies to overcome drug resistance. Schneider, C. et al. (2016). SAMHD1 is a biomarker for cytarabine response and a therapeutic target in acute myeloid leukemia. Nature medicine [Online] 23:250-255. Available at: http://dx.doi.org/10.1038/nm.4255. The nucleoside analog cytarabine (Ara-C) is an essential component of primary and salvage chemotherapy regimens for acute myeloid leukemia (AML). After cellular uptake, Ara-C is converted into its therapeutically active triphosphate metabolite, Ara-CTP, which exerts antileukemic effects, primarily by inhibiting DNA synthesis in proliferating cells. Currently, a substantial fraction of patients with AML fail to respond effectively to Ara-C therapy, and reliable biomarkers for predicting the therapeutic response to Ara-C are lacking. SAMHD1 is a deoxynucleoside triphosphate (dNTP) triphosphohydrolase that cleaves physiological dNTPs into deoxyribonucleosides and inorganic triphosphate. Although it has been postulated that SAMHD1 sensitizes cancer cells to nucleoside-analog derivatives through the depletion of competing dNTPs, we show here that SAMHD1 reduces Ara-C cytotoxicity in AML cells. Mechanistically, dGTP-activated SAMHD1 hydrolyzes Ara-CTP, which results in a drastic reduction of Ara-CTP in leukemic cells. Loss of SAMHD1 activity-through genetic depletion, mutational inactivation of its triphosphohydrolase activity or proteasomal degradation using specialized, virus-like particles-potentiates the cytotoxicity of Ara-C in AML cells. In mouse models of retroviral AML transplantation, as well as in retrospective analyses of adult patients with AML, the response to Ara-C-containing therapy was inversely correlated with SAMHD1 expression. These results identify SAMHD1 as a potential biomarker for the stratification of patients with AML who might best respond to Ara-C-based therapy and as a target for treating Ara-C-refractory AML. Sarin, N. et al. (2016). Knowledge-based approach to identify key determinants of cisplatin sensitivity? International journal of clinical pharmacology and therapeutics [Online]. Available at: http://dx.doi.org/10.5414/CPXCES15EA04. Dilruba, S. et al. (2015). Relevance of subcellular localization of extracellular signal-regulated kinase 1/2 (ERK1/2) for cisplatin resistance. International journal of clinical pharmacology and therapeutics [Online] 53:1041-5. Available at: http://www.dx.doi.org/10.5414/CPXCES14EA03. Martin, M. and Cinatl, J. (2015). Cytomegalovirus and Cancer: A Long and Winding Road to Conclusive Evidence. Journal of Virology and Emerging Diseases [Online] 1:1-3. Available at: http://www.dx.doi.org/10.16966/jved.106. Michaelis, M. et al. (2015). Enzastaurin inhibits ABCB1-mediated drug efflux independently of effects on protein kinase C signalling and the cellular p53 status. Oncotarget [Online] 6:17605-20. Available at: http://www.impactjournals.com/oncotarget/index.php?journal=oncotarget&page=article&op=view&path=2889&pubmed-linkout=1. The PKC? inhibitor enzastaurin was tested in parental neuroblastoma and rhabdomyosarcoma cell lines, their vincristine-resistant sub-lines, primary neuroblastoma cells, ABCB1-transduced, ABCG2-transduced, and p53-depleted cells. Enzastaurin IC50s ranged from 3.3 to 9.5 ?M in cell lines and primary cells independently of the ABCB1, ABCG2, or p53 status. Enzastaurin 0.3125 ?M interfered with ABCB1-mediated drug transport. PKC? and PKC? may phosphorylate and activate ABCB1 under the control of p53. However, enzastaurin exerted similar effects on ABCB1 in the presence or absence of functional p53. Also, enzastaurin inhibited PKC signalling only in concentrations ? 1.25 ?M. The investigated cell lines did not express PKC?. PKC? depletion reduced PKC signalling but did not affect ABCB1 activity. Intracellular levels of the fluorescent ABCB1 substrate rhodamine 123 rapidly decreased after wash-out of extracellular enzastaurin, and enzastaurin induced ABCB1 ATPase activity resembling the ABCB1 substrate verapamil. Computational docking experiments detected a direct interaction of enzastaurin and ABCB1. These data suggest that enzastaurin directly interferes with ABCB1 function. Enzastaurin further inhibited ABCG2-mediated drug transport but by a different mechanism since it reduced ABCG2 ATPase activity. These findings are important for the further development of therapies combining enzastaurin with ABC transporter substrates. Mani, J. et al. (2015). Chemoresistance is associated with increased cytoprotective autophagy and diminished apoptosis in bladder cancer cells treated with the BH3 mimetic (-)-Gossypol (AT-101). BMC cancer [Online] 15:224. Available at: http://dx.doi.org/10.1186/s12885-015-1239-4. Acquired resistance to standard chemotherapy causes treatment failure in patients with metastatic bladder cancer. Overexpression of pro-survival Bcl-2 family proteins has been associated with a poor chemotherapeutic response, suggesting that Bcl-2-targeted therapy may be a feasible strategy in patients with these tumors. The small-molecule pan-Bcl-2 inhibitor (-)-gossypol (AT-101) is known to induce apoptotic cell death, but can also induce autophagy through release of the pro-autophagic BH3 only protein Beclin-1 from Bcl-2. The potential therapeutic effects of (-)-gossypol in chemoresistant bladder cancer and the role of autophagy in this context are hitherto unknown. Cisplatin (5637(r)CDDP(1000), RT4(r)CDDP(1000)) and gemcitabine (5637(r)GEMCI(20), RT4(r)GEMCI(20)) chemoresistant sub-lines of the chemo-sensitive bladder cancer cell lines 5637 and RT4 were established for the investigation of acquired resistance mechanisms. Cell lines carrying a stable lentiviral knockdown of the core autophagy regulator ATG5 were created from chemosensitive 5637 and chemoresistant 5637(r)GEMCI(20) and 5637(r)CDDP(1000) cell lines. Cell death and autophagy were quantified by FACS analysis of propidium iodide, Annexin and Lysotracker staining, as well as LC3 translocation. Here we demonstrate that (-)-gossypol induces an apoptotic type of cell death in 5637 and RT4 cells which is partially inhibited by the pan-caspase inhibitor z-VAD. Cisplatin- and gemcitabine-resistant bladder cancer cells exhibit enhanced basal and drug-induced autophagosome formation and lysosomal activity which is accompanied by an attenuated apoptotic cell death after treatment with both (-)-gossypol and ABT-737, a Bcl-2 inhibitor which spares Mcl-1, in comparison to parental cells. Knockdown of ATG5 and inhibition of autophagy by 3-MA had no discernible effect on apoptotic cell death induced by (-)-gossypol and ABT-737 in parental 5637 cells, but evoked a significant increase in early apoptosis and overall cell death in BH3 mimetic-treated 5637(r)GEMCI(20) and 5637(r)CDDP(1000) cells. Our findings show for the first time that (-)-gossypol concomitantly triggers apoptosis and a cytoprotective type of autophagy in bladder cancer and support the notion that enhanced autophagy may underlie the chemoresistant phenotype of these tumors. Simultaneous targeting of Bcl-2 proteins and the autophagy pathway may be an efficient new strategy to overcome their "autophagy addiction" and acquired resistance to current therapy. Michaelis, M., Mittelbronn, M. and Cinatl, J. (2015). Towards an unbiased, collaborative effort to reach evidence about the presence of human cytomegalovirus in glioblastoma (and other tumors). Neuro-oncology [Online] 17:1039. Available at: http://dx.doi.org/10.1093/neuonc/nov048. Vallo, S. et al. (2015). Drug-Resistant Urothelial Cancer Cell Lines Display Diverse Sensitivity Profiles to Potential Second-Line Therapeutics. Translational oncology [Online] 8:210-216. Available at: http://dx.doi.org/10.1016/j.tranon.2015.04.002. Combination chemotherapy with gemcitabine and cisplatin in patients with metastatic urothelial cancer of the bladder frequently results in the development of acquired drug resistance. Availability of cell culture models with acquired resistance could help to identify candidate treatments for an efficient second-line therapy. Six cisplatin- and six gemcitabine-resistant cell lines were established. Cell viability assays were performed to evaluate the sensitivity to 16 different chemotherapeutic substances. The activity of the drug transporter ATP-binding cassette transporter, subfamily B, member 1 (ABCB1, a critical mediator of multidrug resistance in cancer) was evaluated using fluorescent ABCB1 substrates. For functional assessment, cells overexpressing ABCB1 were generated by transduction with a lentiviral vector encoding for ABCB1, while zosuquidar was used for selective inhibition. In this study, 8 of 12 gemcitabine- or cisplatin-resistant cell lines were cross-resistant to carboplatin, 5 to pemetrexed, 4 to methotrexate, 3 to oxaliplatin, 5-fluorouracil, and paclitaxel, and 2 to cabazitaxel, larotaxel, docetaxel, topotecan, doxorubicin, and mitomycin c, and 1 of 12 cell lines was cross-resistant to vinflunine and vinblastine. In one cell line with acquired resistance to gemcitabine (TCC-SUP(r)GEMCI(20)), cross-resistance seemed to be mediated by ABCB1 expression. Our model identified the vinca alkaloids vinblastine and vinflunine, in Europe an already approved second-line therapeutic for metastatic bladder cancer, as the most effective compounds in urothelial cancer cells with acquired resistance to gemcitabine or cisplatin. These results demonstrate that this in vitro model can reproduce clinically relevant results and may be suitable to identify novel substances for the treatment of metastatic bladder cancer. Tunjung, W. et al. (2015). Anti-Cancer Effect of Kaffir Lime (Citrus Hystrix DC) Leaf Extract in Cervical Cancer and Neuroblastoma Cell Lines. Procedia Chemistry [Online] 14:465-468. Available at: http://doi.org/10.1016/j.proche.2015.03.062. Previous study showed that kaffir lime leaf contains alkaloid, flavonoid, terpenoid, tannin and saponin. The objective of this study was to examine the cytotoxic effect of kaffir lime leaf extract on cervical cancer and neuroblastoma cell lines. The method used for this research to determine cell viability was an 3-(4,5-dimethylthiazol-2-yl)-2,5-diphenyltetrazolium bromide (MTT) assay. Results showed that an ethyl acetate extract had an IC50 for HeLa cells, UKF-NB3, IMR-5 and SK-N-AS parental cells of 40.7 ?g · mL–1, 28.4 ?g · mL–1, 14.1 ?g · mL–1, and 25.2 ?g · mL–1 respectively. Furthermore, the IC50 of chloroform extracts for HeLa cells, UKF-NB3, IMR-5 and SK-N-AS parental were 17.6 ?g · mL–1, 18.9 ?g · mL–1, 6.4 ?g · mL–1, and 9.4 ?g · mL–1 respectively. These data showed that kaffir lime extract reduces the viability of cervical and neuroblastoma cell lines and may have potential as anti-cancer compounds. Michaelis, M. et al. (2015). ABCG2 impairs the activity of the aurora kinase inhibitor tozasertib but not of alisertib. BMC research notes [Online] 8:484. Available at: http://www.biomedcentral.com/1756-0500/8/484. Recently, we have shown that the ATP-binding cassette (ABC) transporter ABCB1 interferes with the anti-cancer activity of the pan-aurora kinase inhibitor tozasertib (VX680, MK-0457) but not of the aurora kinase A and B inhibitor alisertib (MLN8237). Preliminary data had suggested tozasertib also to be a substrate of the ABC transporter ABCG2, another ABC transporter potentially involved in cancer cell drug resistance. Here, we studied the effect of ABCG2 on the activity of tozasertib and alisertib. The tozasertib concentration that reduces cell viability by 50 % (IC50) was dramatically increased in ABCG2-transduced UKF-NB-3(ABCG2) cells (48.8-fold) compared to UKF-NB-3 cells and vector-transduced control cells. The ABCG2 inhibitor WK-X-34 reduced tozasertib IC50 to the level of non-ABCG2-expressing UKF-NB-3 cells. Furthermore, ABCG2 depletion from UKF-NB-3(ABCG2) cells using another lentiviral vector expressing an shRNA against the bicistronic mRNA of ABCG2 and eGFP largely re-sensitised these cells to tozasertib. In contrast, alisertib activity was not affected by ABCG2 expression. Tozasertib but not alisertib activity is affected by ABCG2 expression. This should be considered within the design and analysis of experiments and clinical trials investigating these compounds. Michaelis, M. et al. (2014). Association between acquired resistance to PLX4032 (vemurafenib) and ATP-binding cassette transporter expression. BMC research notes [Online] 7:710-710. Available at: http://dx.doi.org/10.1186/1756-0500-7-710. Michaelis, M. et al. (2014). Aurora kinases as targets in drug-resistant neuroblastoma cells. PloS one [Online] 9. Available at: http://dx.doi.org/10.1371/journal.pone.0108758. Michaelis, M. et al. (2014). Differential Effects of the Oncogenic BRAF Inhibitor PLX4032 (Vemurafenib) and its Progenitor PLX4720 on ABCB1 Function. Journal of Pharmacy and Pharmaceutical Sciences [Online] 17:154-168. Available at: http://ejournals.library.ualberta.ca/index.php/JPPS/article/view/20601. The clinically approved oncogenic BRAF inhibitor PLX4032 (vemurafenib) was shown to be a substrate of the ATP-binding cassette (ABC) transporter ABCB1. Here, we compared PLX4032 and its structurally closely related precursor compound PLX4720 for their interference with ABCB1 and the ABCB1-mediated compound transport using docking and cell culture experiments. For the docking study of PLX4032 and PLX4720 with ABCB1, we analysed binding of both compounds to mouse Abcb1a and to human ABCB1 using a homology model of human ABCB1 based on the 3D structure of Abcb1a. Naturally ABCB1 expressing cells including V600E BRAF-mutated and BRAF wild-type melanoma cells and cells transduced with a lentiviral vector encoding for ABCB1 were used as cell culture models. ABCB1 expression and function were studied by the use of fluorescent and cytotoxic ABCB1 substrates in combination with ABCB1 inhibitors. Docking experiments predicted PLX4032 to interact stronger with ABCB1 than PLX4720. Experimental studies using different cellular models and structurally different ABCB1 substrates confirmed that PLX4032 interfered stronger with ABCB1 function than PLX4720. For example, PLX4032 (20µM) induced a 4-fold enhanced rhodamine 123 accumulation compared to PLX4720 (20µM) in ABCB1-transduced UKF-NB-3 cells and reduced the IC50 for the cytotoxic ABCB1 substrate vincristine in this model by 21-fold in contrast to a 9-fold decrease induced by PLX4720. PLX4032 exerted stronger effects on ABCB1-mediated drug transport than PLX4720. This indicates that small changes in a molecule can substantially modify its interaction with ABCB1, a promiscuous transporter that transports structurally different compounds.This article is open to POST-PUBLICATION REVIEW. Registered readers (see "For Readers") may comment by clicking on ABSTRACT on the issue's contents page. PLX4032 exerted stronger effects on ABCB1-mediated drug transport than PLX4720. This indicates that small changes in a molecule can substantially modify its interaction with ABCB1, a promiscuous transporter that transports structurally different compounds. This article is open to POST-PUBLICATION REVIEW. Registered readers (see "For Readers") may comment by clicking on ABSTRACT on the issue's contents page. Kalayda, G. et al. (2014). A systems pharmacology approach to improve drug therapy in NSCLC: Establishing a CESAR network. International Journal of Clinical Pharmacology and Therapeutics [Online] 52:89-91. Available at: http://dx.doi.org/10.5414/CPXCES13EA07. Baumgarten, P. et al. (2014). Human cytomegalovirus infection in tumor cells of the nervous system is not detectable with standardized pathologico-virological diagnostics. Neuro-oncology [Online] 16:1469-77. Available at: http://neuro-oncology.oxfordjournals.org/content/16/11/1469.long. Experimental findings have suggested that human cytomegalovirus (HCMV) infection of tumor cells may exert oncomodulatory effects that enhance tumor malignancy. However, controversial findings have been published on the presence of HCMV in malignant tumors. Here, we present the first study that systematically investigates HCMV infection in human nervous system tumors by highly sensitive immunohistochemistry in correlation with the HCMV serostatus of the patients. Immunohistochemical and quantitative PCR-based methods to detect different HCMV antigens and genomic HCMV DNA were optimized prior to the investigation of pathological samples. Moreover, the pathological results were matched with the HCMV serostatus of the patients. HCMV immediate-early, late, and pp65 antigens could be detected in single cells from HCMV strain Hi91-infected UKF-NB-4 neuroblastoma cells after 1:1024 dilution with noninfected UKF-NB-4 cells. Genomic HCMV DNA could be detected in copy numbers as low as 430 copies/mL. However, we did not detect HCMV in tumors from a cohort of 123 glioblastoma, medulloblastoma, or neuroblastoma patients. Notably, we detected nonspecifically positive staining in tumor tissues of HCMV seropositive and seronegative glioblastoma patients. The HCMV serostatus of 67 glioblastoma patients matched the general epidemiological prevalence data for Western countries (72% of female and 57% of male glioblastoma patients were HCMV seropositive). Median survival was not significantly different in HCMV seropositive versus seronegative glioblastoma patients. The prevalence of HCMV-infected tumor cells may be much lower than previously reported based on highly sensitive detection methods. Cinatl, J. et al. (2014). Resistance acquisition to MDM2 inhibitors. Biochemical Society transactions [Online] 42:752-757. Available at: http://dx.doi.org/10.1042/BST20140035. Various experimental strategies aim to (re)activate p53 signalling in cancer cells. The most advanced clinically are small-molecule inhibitors of the autoregulatory interaction between p53 and MDM2 (murine double minute 2). Different MDM2 inhibitors are currently under investigation in clinical trials. As for other targeted anti-cancer therapy approaches, relatively rapid resistance acquisition may limit the clinical efficacy of MDM2 inhibitors. In particular, MDM2 inhibitors were shown to induce p53 mutations in experimental systems. In the present article, we summarize what is known about MDM2 inhibitors as anti-cancer drugs with a focus on the acquisition of resistance to these compounds. Michaelis, M. et al. (2014). Karanjin interferes with ABCB1, ABCC1, and ABCG2. Journal of Pharmacy and Pharmaceutical Sciences [Online] 17:92-105. Available at: http://ejournals.library.ualberta.ca/index.php/JPPS/article/view/20635. The prominent ATP-binding cassette (ABC) transporters ABCB1, ABCC1, and ABCG2 are involved in substance transport across physiological barriers and therefore in drug absorption, distribution, and elimination. They also mediate multi-drug resistance in cancer cells. Different flavonoids are known to interfere with different ABC transporters. Here, the effect of the furanoflavonol karanjin, a potential drug with antiglycaemic, gastroprotective, antifungal, and antibacterial effects, was investigated on ABCB1, ABCC1, and ABCG2-mediated drug transport in comparison to the flavonoids apigenin, genistein, and naringenin. Cells expressing the relevant transporters (ABCB1: UKF-NB-3ABCB1, UKF-NB-3rVCR10; ABCC1: G62, PC-3rVCR20; ABCG2: UKF-NB-3ABCG2) were used in combination with specific fluorescent and cytotoxic ABC transporter substrates and ABC transporter inhibitors to study ABC transporter function. Moreover, the effects of the investigated flavonoids were determined on the ABC transporter ATPase activities. Karanjin interfered with drug efflux mediated by ABCB1, ABCC1, and ABCG2 and enhanced the ATPase activity of all three transporters. Moreover, karanjin exerted more pronounced effects than the control flavonoids apigenin, genistein, and naringenin on all three transporters. Most notably, karanjin interfered with ABCB1 at low concentrations being about 1µM. Taken together, these findings should be taken into account during further consideration of karanjin as a potential drug for different therapeutic indications. The effects on ABCB1, ABCC1, and ABCG2 may affect the pharmacokinetics of co-administered drugs. This article is open to POST-PUBLICATION REVIEW. Registered readers (see "For Readers") may comment by clicking on ABSTRACT on the issue's contents page. Taken together, these findings should be taken into account during further consideration of karanjin as a potential drug for different therapeutic indications. The effects on ABCB1, ABCC1, and ABCG2 may affect the pharmacokinetics of co-administered drugs. Jungjit, S. et al. (2014). Extending multi-label feature selection with KEGG pathway information for microarray data analysis. in: 2014 IEEE International Conference on Computational Intelligence in Bioinformatics and Computational Biology.